The Purpose of this document is to describe common problems found on the EA through to El Series Falcons, Fairmonts, XR6, XR8, S Pacs, Fairlanes, LTD models. The document also describes methods involved in fixing these problems, the Tools and Parts required, and estimated time to repair the problems. I have decided to group these problems in to one single document, as their corresponding sizes are to small to warrant seperate documents for each case. Also, by keeping the documents together, it makes it very easy to locate a problem, and the information related to it. 1. Replacing the Brake switch for faulty Brake Lamps. 2. Cleaning the Idle Speed Controller Valve to improve idle quality. 3. Window Winder Problems. How to fix a Window Winder that no longer moves in one direction. Obviously, more and more documets will be added on a regular basis. If there is a document you would like added to this list, then please feel free to email myself, with the details of what you would like listed, problems experienced, and any solutions you may have regarding the problem. If the Brake lamps (all three lamps, including the rear mount stop lamp), do not operate when the brake pedal is deppressed, then this is the likely cause of the problem. The Ford Brake Lamp switch is known to wear out after a period varying from 75,000Km, to 150,000Km, depending on How often the brake pedal is depressed. As the switch begins to wear, the problem is at first very rare, but with further use, the problem becomes greater, until finally the switch fails completely. Replacement of the switch takes about 15 to 30 Minutes, and the cost of replacing it is $25.00 (GST inc). The Part number for the switch is E73Z-13480-A, and the problem is so common, that the switch is stocked behind the counter at all Ford Spare parts Dealers. 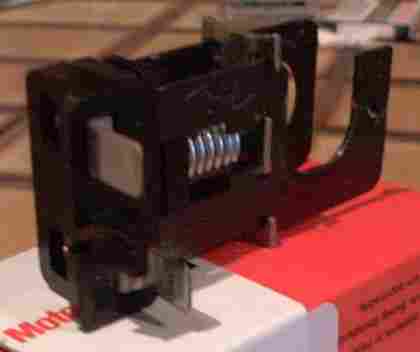 The above illustrates the Brake switch, and the packaging in which it came. In replacing the Brake switch, you may need long nose pliers, and a Flat Headed screwdriver. Although it is not essential to have these tools, you will find the replacing the brake switch that much easier if you have them. 1. Move the Drivers seat as far back as possible. This will give you some room to get up under the instrument panel, near the brake switch. 2. 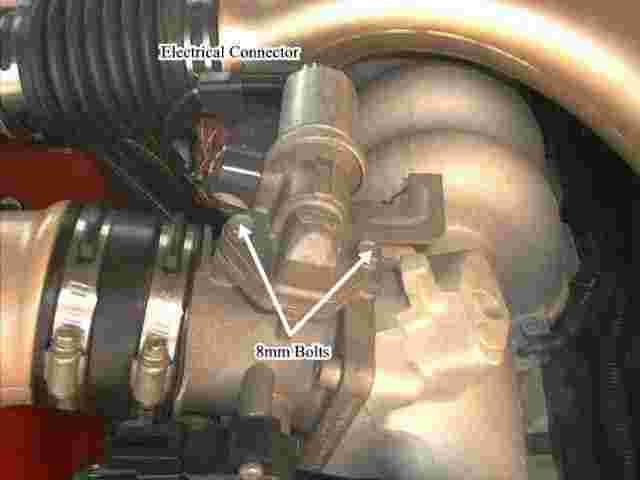 Disconnect the Brake switch Electrical Connector. There is a plastic clip, which needs to be pulled upwards, so as the electrical connector can be released. 3. Next, the yellow metal clip needs to be removed. This clip holds the Brake pedal and Brake switch, to the Brake Booster plunger. This clip needs to be removed. This is where the Long nose pliers will come in handy, as they can be used to simply pull the clip up and out from the Brake pedal. 4. With the Clip removed, Jiggle the brake pedal, and pull the brake switch, and Brake Booster Plunger towards the passenger side of the vehicle. This will disengage the Plunger, and the Brake switch from the Brake pedal. Once this has been completed, you will be left with the following parts. 1. Ensure that only the Blue spacer is left on the Brake Lever bar. 2. Ensure that the Black washer is fitted inside the Brake Booster Plunger Hole, and is well lubricated with grease. 3. Place the Brake Pedel Booster plunger on the Brake Pedal bar, towards the passenger side. Do not slide the Booster up against the Blue Spacer. 4. Fit the Brake Pedal switch, by placing the open ended hole on the right hand side of the Brake Booster plunger, and by sliding the Brake switch hole, over the Brake Lever Bar. 5. Slide the Brake Booster Plunger, and the brake switch up against the Blue Spacer. 6. Fit the Green spacer, to the right of the Brake Booster Plunger, and the Brake switch, on the Brake Pedal Bar. 7. Fit the Yellow Metal clip. 8. Fit the electrical connector. 9. Test the Brake Pedal, and the Brake Lamps for correct operation. The Idle Speed Controller Valve, or otherwise known as the Idle Air Bypass System, is responsible for maintaining a smooth, and consistent idle, under different Engine Loads, and temperatures. 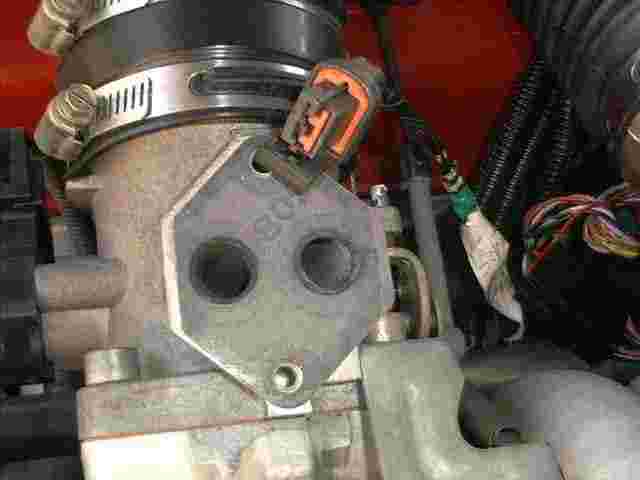 It does this by allowing a certain amount of air, to bypass the Throttle Body Butterfly, thereby increasing the amount of air entering the engine, under certain conditions, thereby increasing Engine RPM. The Idle speed control valve is controlled by the EEC-V Engine Management system, and is a spring loaded stepped motor, that opens a small valve, that allows air to flow. 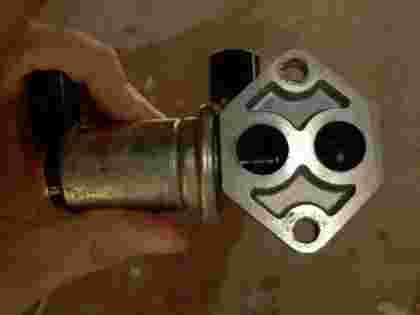 It is actually quite common for this valve to get gummed up and slighty jammed, by carbon deposits, oil, and other foreign materials. This is especially the case if an aftermarket air cleaner, that is oil based (Such as K & N air Filters), as the Oil is slowly sucked in to the Idle speed controller, and slowly blocks off, and jams the air passage and Valve. 1) Poor idle quality in cold temperatures. 2) Engine stalling under load (Eg Power steering operation, Air Conditioning, etc), under closed throttle (Idle) conditions. 3) Rough Gear changes on Automatics when changing from second, to first gear, (Engine speed surging). 4) Engine RPM surging at idle, for no reason. (I.E. Engine increasing RPM to greater than 1000rpm, for no apparent reason). The Idle speed controller can be easily cleaned, and is recommended if the above symptoms exist. To remove the Idle Speed controller, you will need an 8mm wrench, or an adjustable wrench. 1. Disconnect the Electrical Connector, by pulling down on the bottom Plastic latch, on the Bottom of the connector. 2. Remove the 2 8mm Bolts that hold the Idle Speed Controller in place. 3. Remove the Idle Speed Controller. The Following Images will give you some idea of what needs to be cleaned, with regards to the ISC Valve. From the above picture, you can see the Plunger, that is used to control the amount of air that is to be passed. Also you can see the two air passageways. The air passageways need to be cleaned, and this can be achieved with some Turps, and by rubbing the passageways with your finger. Note: Be carefull if you are going to use a rag or such to clean the passageways, as any material that may be left or stuck in the passageways will be sucked in to the engine, causing damage ! With The ISC Valve, the Best thing to do is fill the Passageways with turps, or WD40, then cover the holes, and shake thoroughly, to ensure that both the plunger, and passageways have been cleaned. Note: the liquid will flow through to the Black Breather cap when shaking. Once the plunger and passage ways have been cleaned, then Dry the assembly, and re-install the ISC on to the Throttle Body. 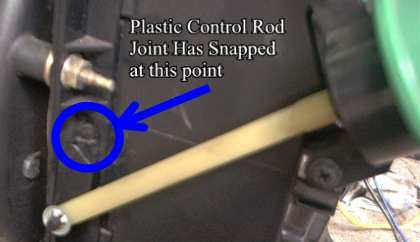 A Common Problem found with both Manual and Electric Window on Ford Falcons is the Failure of the Plastic Clip, that holds the end of the metal cable, used to pull the Window up and down. The above picture shows the exact point where this plastic fails and breaks. Typical symptoms of this problem include the window Droping from its upright position, and the Winder only operating in one direction only. The Cabling used by the Ford Window Winder is very similar to that used on Pushbike Handle bar brakes, and has a type of crimped ending, that is clipped in to the Window Guide Lifter, and in conjunction with the Winder Motor/Pully, will pull the Lifter in either the Upward, or downward direction. Unfortunately, like many plastic parts, under stress, the Plastic clip will break, allowing the Cable to become detached from the Windor Lifter. When this happens, the window winder will only operate in one direction (Depending on which side of the plastic clip has been broken). If this ever happens, take the following precautions ! 1. Do not operate the Window Winder ! The reason for this is that the Winder Mechanism/Motor Cable requires tension on both sides. If the winder is operated without the proper tension, then the cable will not wind on the reel properly, and will crease, buckle, and eventually jam up ! 2. If the Window is in the Down position, do not attempt to wind the window up using the winder ! Simply grasp the window using both palms of your hands, and pull the window in to the upright position. Finally, you will need to jam something underneath the window, so as the window does not drop down again. One cheap Solution to fixing this problem is to get yourself a reasonable sized washer, or 2 washers. The diameter of the Washer needs to be around 8mm-10mm, and the hole in the middle needs to be less than 4mm. This can be achieved by using a combination of washers, (One Large, and one small). The washer will need to be able to fit inside the plastic clip, yet the hole will need to be small enough so as not to allow the crimped end of the cable to slip through it ! Finally, you will need to Cut the washer, so as the Winder Cable can be fed through the Washer. The easiest way to achieve this is to use a hacksaw, and cut from the Outside of the washer, to the inside. (Note : Do not cut the washer in half !). When one side of the washer has been cut, bend the washer, and feed the Cable through the cut. Finally, Bend the washer back in to shape, so as the crimped end of the cable does not slip through the washer. Once this has been completed, then jam the washer in to the Plastic Clip, and use some super glue to hold the washer in place, (So as it does not slip out of the Plastic Clip). The Super glue does not need to be strong, as its only purpose is to stop the washer from moving side to side in the plastic clip. Note : Once the Winder is operated, then the cable will tension, and will Hold the Washer up against the Plastic clip. Please Note : If the Cable has been damaged, then you will need to replace the WHOLE WINDER ASSEMBLY. This unfortunately, is seemingly becoming a more and more common occurance amongst the EA-EL Falcon Brigade ! 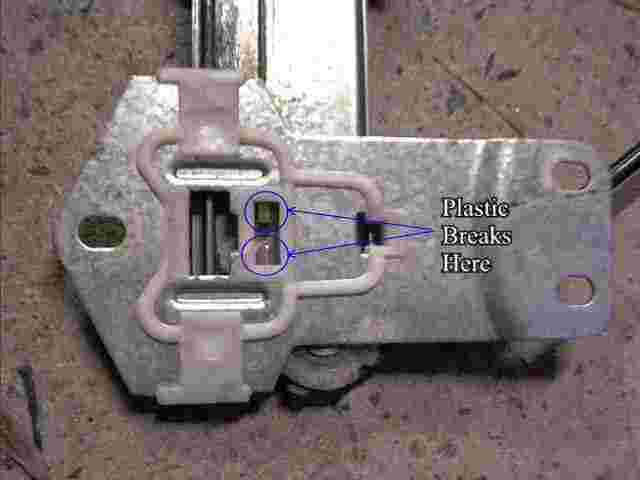 As can be seen by the above picture, the plastic control rod that is used to move the Door Flap for the Fresh/Recycled Air commonly breaks right at the Junction point. This part is located on the passenger side of the vehicle, Just above the Passenger Kick Panel, and above the EEC Computer Module. For EF/EL Model owners, unfortunately, depending on your dexterity, and size of your hands this may be a complete Dash-Out job to repair. The above picture has been taken, with the Fresh/Recirc Part of the Airbox removed completely from the vehicle. If you can be bothered to get the Recirc/Fresh Module out from under the Instrument panel, then you will notice that the plastic would have broken right between the lever (Black coloured plastic Bit), and the Rod. You will also notice that the rod will typically break flush along the Airbox side, making super gluing damm near impossible. (The use of too much super glue will glue the Control Rod to the airbox, not allowing free movement of the Recirc Flap. Possibly the best way to repair this part is to use a self tapping screw, and a small amount of super glue. When fixing this part, Be sure to aling the Control Rod, and Lever, so as the Recirc Flap is in the correct position with the control rod. Also, if the position is not correctly aligned, the Control Lever will simply attempt to break the Rod again, forcing the flap in to a position that it was not designed to go. When fitting the self tapping screw, make sure that you use a small diameter one, as the Recirc Control rod is not very large, (Roughly 4mm Diameter). Finally, ensure that the Control Rod, and lever operate smoothly, before attempting to refit the Recirc Component to the Airbox. Document written by: Matti on 12 2002>, Copyright © 2005 Matti, all rights reserved.